I wasn't there but I snagged these pics from the following blog. Enjoy. 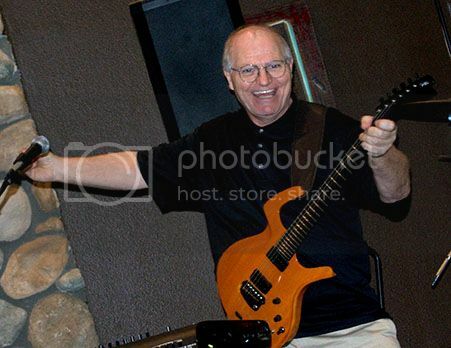 Man do I love that Taz guitar. Those are amazing thank you. 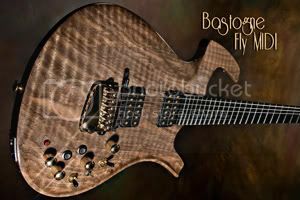 There was a thread about on The Gear Page in small luthier section. He is nothing short of incredible. What a gift to the world. 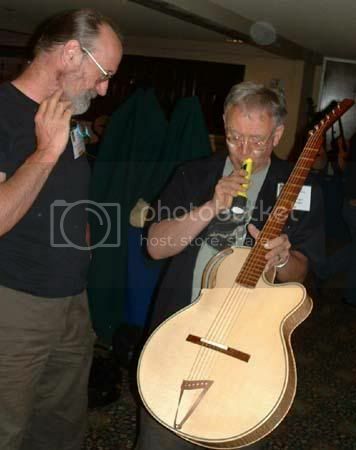 That archtop looks like it would be an incredible treat for the player's ears. 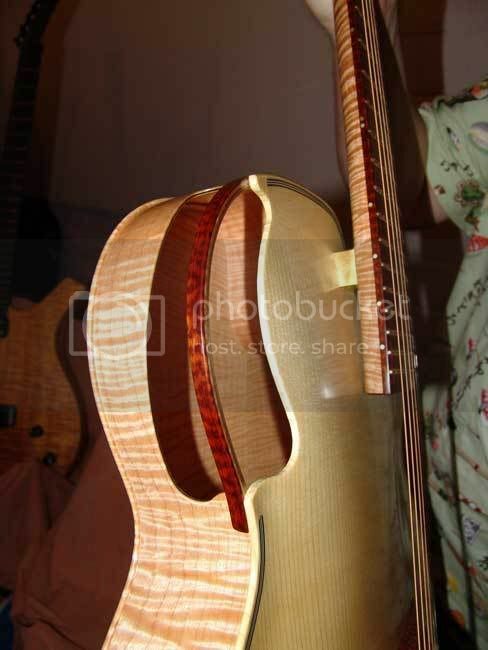 That sound hole looks like it would somehow balance the treble and bass response aimed at your head. I love all the details he puts in. What is most remarkable is that there is always a reason and function to all the details and uniqueness. None of it is to be fancy or "different"" from the rest. So often, form following function results in ugly, but Ken Parker somehow keeps developing functional works of art. Thankfully, I'm fortunate enough to own a few pieces of it. The acoustics are breathtaking. The Taz however, is shaped like a spleen. Back to the drawing board on that one. As I understand it, there were only three of those made. This one is called the Taz because of the wood in it. It has also been said that this is the orignal idea for the single cut. When you look at it, it is the Fly shape with the gap between the horn and body filled in. At first, I wasn't sure if I liked it, but like all artistic things, if grows on you. I've also heard from people who have played the Taz and it is amazing. Just another piece of musical art from the master himself. I too love the shape and design of the Tas. 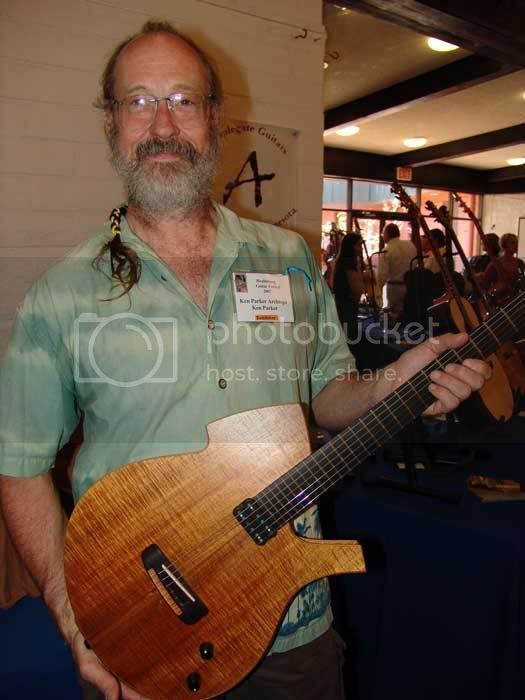 Does anyone know who built this guitar? This picture is from the Healdsburg festival. That's the guitar that Robbin Ford is playing now. Nice guitar but I prefer the Taz shape.